Found out that the earlier /// i have with 230V Powersupply, that the RIFA from the PSU had exploded sometime ago, it had some mess inside.... wonder it still worked, somehow. So no swapping of the 230V to the US unit. I need to make the 115v->230v mod to the US PSU, new fuse and swap of one cable PIN (115V to 230V) that should do it. Will order the Universal Powersupply when they become available again at Ultimatemicro. If anybody have spare, working, external floppy drive (Disk ///) let me know. Maybe hit up Macdrone. I gave him one a couple of years ago and he's selling off a bunch of stuff now. He may be getting rid of it. + lots of cables, cards, RAM (later modes), adaptors, pens and etc small stuff. I'll sort the books/manuals next weekend to see what i have already. I'm really running out of bookshelf space for books/software however. Just obtained an Macintosh 128k (M0001P) P = International 220-240V-model. my another "128k" i once got. Somebody upgraded it to Plus with locally made upgrade kit and CUT AN HOLE to the case for the SCSI connector in back.... not nice. However this came with short keyboard, external 400k drive and a mouse. The internal drive was 400k. Also some 100 disks but those were about 99% for Amiga and few for PC and Atari ST.
i'd need an "Macintosh 128k" badge to the back. Cleaned up and will test soon. Was working when picked it up. -Apple IIgs 3.5" floppies, about 1600-2000 pcs (45.5kg!) - will image all (job for the year 2017). Might need replacement 3.5" drive for the IIGS, donations anyone? -Apple II, CP/; 5.25" floppies, about 1000 pcs (arriving in Februay) - will image all. - IBM PS/2 8535 with IBM monitor 8513, mouse & keyboard, all in boxes (not complete however) with some original IBM software & OS/2. Sold this however due lack of space. - MikroMikko CL486i/25 (Finnish made PC-clone from 90's, i used to work for them). Donated this to our company "collection/museum" with Microsoft MS-DOS 5.0 (ICL branded). - Some books, manuals, an old IBM-compatible mouse in a box. -About 50pcs of 5.25" floppies with PC stuff on them, but also interesting "Nokia CP/M Basic-80" which i will image later with Kryoflux. Oh, i could sell the ANS server, if somebody is picking it up OR pays for the shipping (from Finland). I just didn't have the time/space/interest for this so it got SOLD. Got from a trade an Chinese Education Computer (CEC-I) which is Apple //e clone. 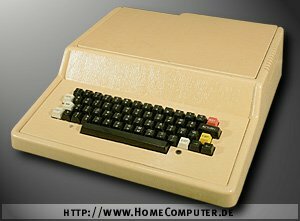 Will receive an Bulgarian Apple ][ clone "PRAVETZ 8C" soon. It's Apple //c clone hardware wise but not as small or portable. I am looking to find an nice working PRAVETZ 82 next. Got also "CEC-I" but white/beige colored. Not sure what issues it have, no power. Would love to get one working CEC-I and CEC-E as well. Great find on the Apple II clone. That's a very unique find! Bought an (rather difficult to find) ATARI 800 PAL with Tape drive 410. Came with lots of documentation (original offer from shop!) and few modules. Would love to find the floppy drive to it. -Atari 800 (PAL) with Atari 810 tape drive, among lots of software and books/printed materials. God i love this design! Tape drive needs cleaning & new belt? -Atari 800XL (PAL) with Atari 1010 tape drive, Atari 1050 disk drive, Atari 1027 printer, games, books etc. *All boxed* Tape drive needs cleaning & new belt? 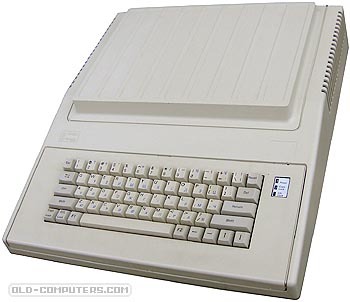 Needed : Atari 810 floppy drive for Atari 800. -Bunch of magazines, InCider, Byte, Nibble etc. -Game manuals, price lists/catalogs etc. I've sold lots of Macintosh-stuff away. To make space (&money) and also, have lost some interest specially later models and 16/32 bit architecture. Thinking of selling Amiga 1000 and 1200 (KS 3.1, CF/HDD) away, just could not have done it yet.. I try to focus on 8-bit systems more these days my main interest being Apple ][ and /// but also Atari, Commodore etc etc. I'll keep some important Macintosh-models (to me) in my collection that i actually *use*. the Ultimate 1MB and VBXE (would get scart output). Next.. maybe.. 1200XL..? Picked an very cheap Atari 800XL (boxed, but the box is rough) with few manuals. Working great. Using new PSU from https://lotharek.pl. Never use the original PSU with Atari 8bits! They burn the whole unit. Sold lots of Commodore stuff (A1000, A1200, C128D, Commoodore games/software) lately. Will get: ACORN BBC MICRO w/gotek stoon. -Super nice Acorn BBC Micro Model B Issue 7 with recapped & euro plug PSU, all checked and rebuilt & upgraded (1770). Will get Gotek/Flashfloppy to this with 3.5" case built. -Very clean (no yellowing) Acorn BBC Micro Model B Issue 7 with recapped PSU, 8271 Intel, and Replay ROM. - ZX Spectrum OMNI 128HQ Laptop (the guy who makes these lives in same city we spent time at). It's great ZX Spectrum laptop with 9" screen! You, sir, have a crazy amount of stuff! -Platinum board: "International NTSC 1986 (C)" - this makes it more rare. The original 65C02 processor is removed from the board. I'm selling things lately as well (non Apple II) to make money/space... should sell some more, Commodore, Macintosh etc. Have sold most of the extra stuff (still more to go) slimmed down the Mac collection to minium. All Amiga's are gone etc. No time & space so it's better to sell the things i don't use.